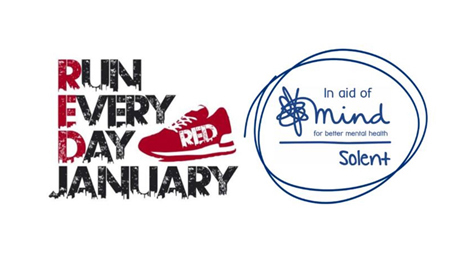 We are proud to be considered a ‘Mindful employer’ and so we have been chasing the blues away by participating in RED January, the initiative, which has been helping motivate people to get more active every day in January to support their mental health and beyond. We’ve linked with Solent Mind, the registered charity providing a wide range of high quality services to support people with mental health problems across the Southern Region, to participate in this worthwhile scheme. January is a great time to raise awareness of the importance of getting more active to promote mental health and wellbeing – whether it’s running 5k, walking to work a new way, a morning swim or just taking a bike for a spin – the choice is personal and limitless to each individual. We’ve been doing our bit to get active regularly – swimming, dog walking, playing competitive rugby, reengaging with Pilates and more. The main point being to do a little more each day. So, if you have seen any of us REDers out and about this month in our red t-shirts and shoelaces you will know exactly what we are doing – It’s an annual campaign so you and your company may even want to consider doing it yourself, we certainly will.